The border has been invisible since the signing of the Good Friday agreement in 1998 ended 30 years of bloody conflict between the Protestant and Catholic communities in Northern Ireland. Three thousand people had been killed, but the situation had reached a stalemate. The Good Friday deal let both sides accept that fact. As the 1998 agreement plainly said, people born in Northern Ireland have the right to be “Irish or British or both as they may so choose.” And it worked, sort of: the only way you can tell you have crossed the border now is that the speed signs change from miles to kilometers or vice versa. So she became an enthusiastic Brexiter herself. The English nationalists who ran the Brexit campaign had said nothing about leaving the EU’s ‘single market’ and customs union, but within weeks of taking office, May declared that Britain must leave both of them. She even made this demanding part of her famous ‘red lines’, the non-negotiable minimum that the British government would accept in the divorce settlement. Unfortunately, ending the customs union would mean re-creating a ‘hard’ border between Northern Ireland and the Republic – and that might lead to a renewal of the sectarian civil war between Catholics and Protestants in the North. No hard border is, therefore, an EU red line, and it’s impossible to square that with May’s decision to leave the EU customs union. If there is no customs union, then there have to be border checks. And maybe a new war in the North. 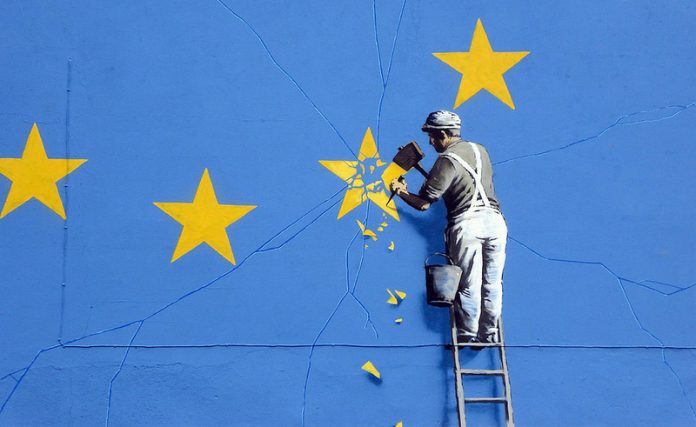 And if the UK crashes out of the EU without a deal, the ratings agency Standard and Poor’s predicted on Tuesday, unemployment in the UK will almost double, house prices will fall by ten percent in two years, and the British pound will fall even further. First impoverishment for the British, then the war for the Irish. Previous articleRamaphosa at SAJBD: Pandering to Apologists for Israel’s Apartheid Regime or New Decisive Backup of Palestinian Rights?